Alex Sayz: Time to make yourself heard! Time to make yourself heard! 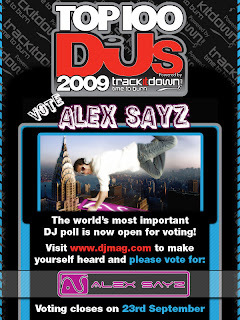 The annual DJ Mag top 100 DJ vote is open. Help me get into the list by voting for me. Click on the picture.